Given Next Gen PFMA represents manufactures of real pet food, at first glance, it may seem illogical to talk about the produce industry; however, the produce industry is regulated by the same agency as the pet food industry: the FDA. Therefore, this should prove a useful comparison. The first outbreak started on April 16, 2018 and was declared over by the CDC on June 28, 2018. At that point, 210 people were infected with a toxigenic strain of E. coli O157: H7. These people lived in 36 different states. 96 were hospitalized and 27 of the 210 reported infections developed kidney failure. There were five deaths. What is not reported are all the cases of self-limiting diarrhea that never presented to a physician; there were probably thousands of cases. No recall was issued at this point. In a second outbreak was caused by produce harvested between November 27 and 30th 2018. This outbreak was declared over on January 9, 2019. 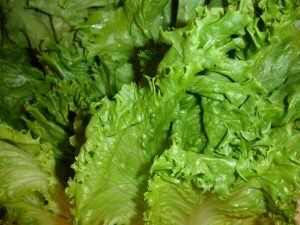 At this point, 62 people were reported as infected with toxigenic E. coli from having eaten contaminated produce including romaine lettuce. These people lived in 16 different states, 25 people were hospitalized and two developed kidney failure. A recall was issued on December 13, 2018. Again, the number of people who developed self limiting diarrhea was not quantified. Interestingly, the FDA issued frequent public health notifications beginning November 20, 2018 and most recently February 13, 2019. Also interesting is romaine lettuce, produce in general, are known fresh foods which can easily be contaminated with bacteria that may produce illness in those who consume it. Fulfilling their purpose, the FDA has worked closely with the produce manufacturers to determine the cause of the outbreak and how to minimize risk of future occurrences. Realistically, unless this fresh food is subjected to kill steps, like cooking, more recalls may occur. Consequently, the FDA is educating the public about the importance of cleaning and sanitation when handling fresh produce products; just as has been done in the fresh meat industry for the last 40 years (for human consumption). Interestingly, in the same same time period (2018), 20 real pet food manufacturers experienced recalls (There have been numerous recalls of canned and kibble pet food for potentially fatal nutritional imbalances in this time period as well.) It would be incorrect to assume that all of these recalls were for raw pet food products; one recall occurred for gently cooked food which used entirely human industry sourced ingredients. Interestingly, there was controversy between nutritionists regarding the safety of the pet food products; no controversy regarding the exact same human food ingredients. (The national frozen food brand that supplied the tainted green beans to a pet food manufacturer supplied the same tainted green beans to 17 different people food frozen vegetable co-manufacturers.) Also, there was no report of human illness. Nor were there confirmed, linked human illnesses for any of the other real pet food recalls in 2018. Interestingly, field agents have spent literally months inspecting the facilities of several of these manufacturers. At the completion of these inspections, no public announcement from the commissioner of the FDA regarding steps the agency is taking to not only protect the consumer but protect also protect the agricultural market (fresh/real pet food). It is reasonable to want to protect the public. It is also the American way to provide consumer choices. It is the FDA’s task to help provide both to the American public – just as it is done for the produce industry, so should it be done for the real pet food industry. Previous Who Are Our Members?